When W Lounge closed its doors in August 2012, late-night electronic-music revelers wondered if they’d have to look elsewhere to find some beats. But the close was temporary; owner Casey Staker wanted to rebrand and focus on his passion for the culinary arts. Zest Kitchen & Bar was born, offering up vegan and vegetarian food inspired by contemporary American traditions. Menu items include stuffed mushrooms, raw zucchini noodles and eggplant Parmesan, plus a bevy of inventive, fresh cocktails and a beer list that focuses on local and craft brews. And devoted W Loungers can still find the same late-night, beat-heavy theme nights that thrived before. No password needed, though it feels like you might want to invent one as you descend to The Speakeasy at the Avenues Bistro on Third. Enter via the stairwell at the back of the restaurant or through the kitchen and down the steps. There, in the dim light, you’ll see rows of wine and beer bottles hanging from the walls, a tiny L-shaped bar and a couple of tables. Order a martini and a nosh, and expect the unexpected. Despite the exquisite Wasatch Mountain scenery and some of the best star visibility of any metropolitan area, there is a severe lack of rooftop patios in the Salt Lake Valley. But this West Valley City three-level sports bar has all that, plus it’s within a slapshot’s range of the Maverik Center for post- and pre-game/concert drinks and eats. If you must come down from the patio because of inclement weather, the big screen above the bar and the weekend DJ spinning on the dance floor make for an enjoyable transition. 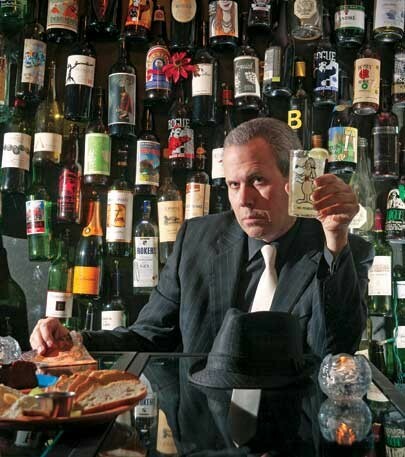 We all need to feel like we’re mysterious and alluring once in a while, and nothing will earn you the reaction of “Who is that beguiling person?” better than sipping one of the classic Prohibition-era cocktails at Bar-X. The speakeasy-style bar’s dark wood paneling and candles in red glass votive holders will make you feel like a film noir character—sit at a dimly lit corner table for maximum effect. The cocktails are as authentic as the ambiance, handmade with premium liquor, real juices and fresh garnishes. As you contemplate your dark, tangled past (or just get up the courage to chat with an attractive stranger), sip an Old Pal, made with rye whiskey, dry vermouth, Campari and an orange twist. Today’s generation doesn’t know of the glory that was once the classic arcade, or even convenience stores with a copy of Street Fighter II in the corner. But those glory days can be relived with the Atomic Arcade on Highland Drive. A stone’s throw from two bars and several restaurants, Atomic has become the place for old-school gamers and kids looking to hone their retro skills to play legendary titles from Pac-Man and Donkey Kong to Tron and Warlords. Just remember to bring the quarters! If you’re looking for the oldest LGBT saloon this side of the Wasatch, look no further than The Trapp. 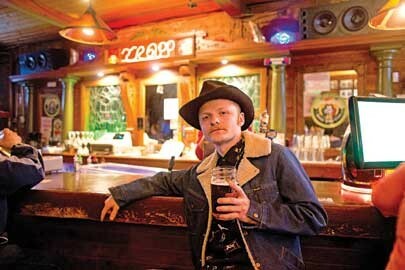 For over 22 years, this gay-friendly hangout has been a cornerstone of Salt Lake City’s LGBT community and a welcoming spot for anyone who loves cold beers served in Mason jars, good company and novelty-size disco-ball cowboy boots. Here’s to 22 more years! Nightclubs come and go. But, thankfully, some don’t fade with time. Now in its 34th year at the same location, Club 90 has come by its classic status honestly. From its massive dance floor, live music on weekends, Thursday-night poker and weekend brunch to big screens for game day, outdoor patio, game room and a menu overflowing with tasty pub grub, Club 90 is just the friendliest place to gather in the south end of the valley. The Filling Station is not your average biker hangout. It’s still a regular stop for Harley riders, but the new owner, Christine Gyllenskog, has remodeled it and turned it into a spacious roadhouse-style bar with cheap drinks and great food. On Mondays, enjoy a full steak dinner for $8. Or, if you want to get tipsy, knock back the signature Green Cream shot, made with Hpnotiq and peach schnapps.